Postcards are great, and we know how useful they can be at Divvy. But for some campaigns, a postcard just isn’t enough. They can easily get lost on a desk or under a pile of other papers. That is not where you want your valuable marketing information to end up! 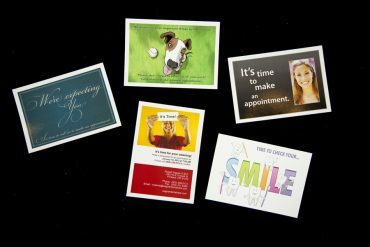 Think outside the postcard with innovative print collateral like a marketing kit, a brochure, and more! With a postcard, all you have to do is flip it over, and the interaction with the piece is complete. People quickly lose interest after that. But with a brochure you have to unfold, you can engage a customer much longer. Giving your mail pieces a little more interactivity can make that information valuable and ensure that it sticks in the minds of your recipients. While you’re at it, make sure you include a call to action that keeps your recipients interacting with your products and marketing even after they’ve put the mail down. A marketing kit combines all of this into one piece of mail that you can send to special clients. Want to see one in action? 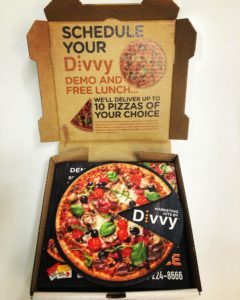 Check out the pizza kit we created and sent out to potential Divvy clients! The important part of these boxes is that they require interaction. They hold far more than a single piece, which requires handling to access all the information. 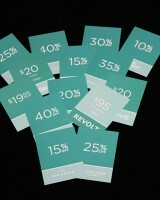 With each piece, even a casual reader will be able to absorb and use more information than a recipient with a postcard. Is a marketing kit right for you? It depends on how much information you have to share. If your pitch is short and sweet, or you need your piece to be transportable (such as a coupon for a sale), postcards are okay! You don’t need to ditch what works. But if you’re trying to get the attention of a big new client, a postcard simply isn’t enough. If you want to get started creating a top-notch marketing kit like the ones we’ve created for clients like Franklin Covey, BYU, and our potential partners, call or contact us today! We’re excited to help you make the most of your marketing efforts across your whole franchise. Anniversaries, retirement, holidays–all these and more are perfect times to give gifts at your business. Create the perfect custom wrapping paper for your business and, with Divvy, share it with all of your franchisees! Why Pick Themed Wrapping Paper? Customized wrapping paper with your logo and colors–what could be better for your brand? Themed wrapping paper is a great marketing tool. During the holidays, you can provide themed paper for your customers to buy their own gifts. They’ll associate your business with the positivity of buying gifts, and their loved ones and friends can get that same positivity on receiving presents. This could be as small as a gift card envelope, or a whole roll of paper. This works within your business too. Giving wrapped gifts to your clients helps them associate your brand with positive feelings, namely that sense of personal care they should get from your business. Even employees can feel the benefits! 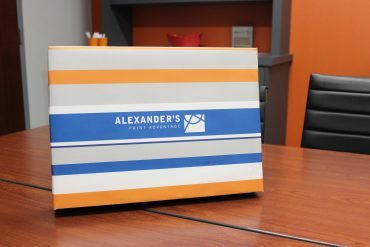 Using custom wrapping paper, you can strengthen your company culture and help them associate positive feelings with your brand and business, too! Of course, wrapping paper in your colors won’t be enough. But with Divvy, we make it easy to add your logo! Our variable data technology simplifies the process of adding your logo all over your wrapping paper. Using your logo on wrapping paper is a great marketing opportunity for clients outside the company. And it’s great for company culture for gifts within the company as well! It’s possible to print a whole roll of wrapping paper with Divvy technology. But when giving gifts within your company, a roll of even the perfect wrapping paper is usually not worth it for just one present. 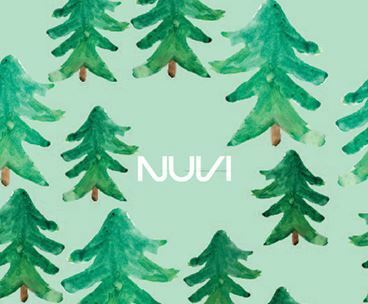 If you only need to wrap one gift, we can print our custom wrapping paper at 20 x 29 inches. This makes it easy to wrap single or small gifts. You’ll never have to waste money or space on a roll of wrapping paper that you won’t use! Of course, we also have the option to create a whole roll if you do need one. We can meet the needs of your franchise, whatever they may be. Wrapping paper is more than just a decorative wrap; it’s a present for your brand. Contact us today about creating your very own custom gift wrapping paper! Imagine your business without marketing tools. Chances are, internal working would probably run the same as ever. But face-to-face meetings with clients would likely stumble or shatter. So a lot of businesses seek out the best possible marketing tools to establish connections with clients, send information, and maximize sales. We at Divvy believe that among the most effective of those tools are business cards. Business cards are powerful, even in today’s digital world. Even salespeople and other face-to-face representatives of your company work better with physical print. The adage that a picture says a thousand words applies to business cards as well! Business cards do a lot of your talking and marketing for you–more than people realize. Paper automatically has more power in today’s digital world than an email or a LinkedIn invite alone. Touch marketing shows that paper has greater recall power. People who handle a card with texture also tend to associate it with more positive feelings. Why wouldn’t you want that for a marketing tool? Finally, business cards are often a silent marketing tool. This is especially true at networking events. If you don’t have one at your event, whether on your person or at your booth, you’ll stand out–and not in a good way. Cards also are effective when left on your booth or table. This lets people connect with your company even when they don’t stop to talk to you. Whether they’re too shy or too busy, they’ll have a way to contact you later. The design of a business card can make it stand out as well. We’ve found several out-of-the-box designs for absolutely stunning, unforgettable cards. Even if you don’t opt for this route, the look of your card can still speak volumes about your company. A card can show that you’re utilitarian or fun, that you know what you’re doing or that you might still have something to learn. Design carefully, and let your card speak for you! One way you can incorporate fantastic design and touch marketing into your card is with foil or UV spot varnish. Both of these create a great texture and shine that makes your card irresistible to touch and hold. Remember those positive feelings? Adding foil or varnish only increases those. 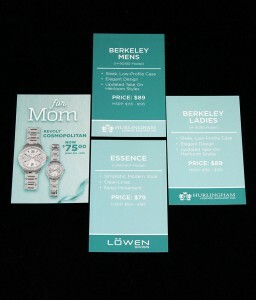 Plus, the “special” look of these cards ensures that your clients will want to hold onto them. You’ll worry a lot less about lost information! Are you looking for creative ways to connect with your clients and customers? Need to run some ideas by a printer to see if they are even possible? Divvy’s web to print API makes it easy to print business cards on-demand from our manufacturing and fulfillment system. 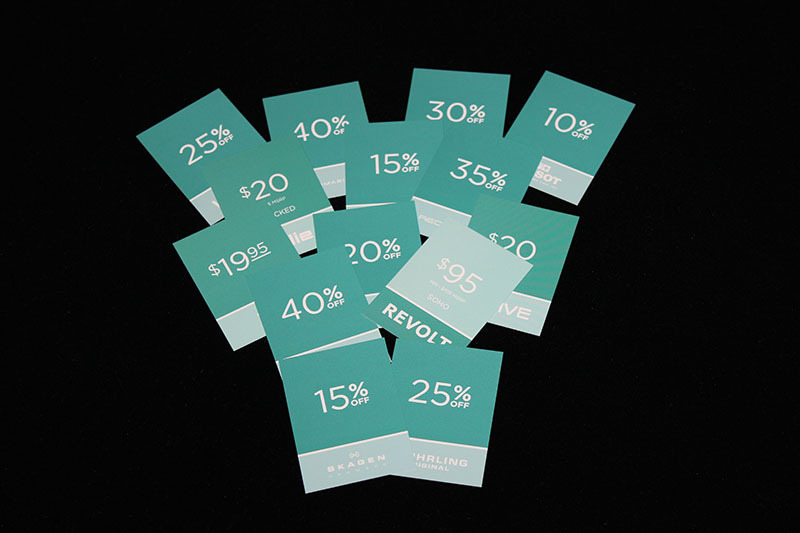 Using our storefronts, you can print to your brand’s standards using corporate-approved colors and designs to keep your cards consistent throughout the company. Need a lot of cards printed? Divvy can take out the hassle for you! Our variable data makes it simple to create an individual card for every employee in your company.No matter how big the job, you and your company can trust that Divvy’s high-quality service and technology will help your business stand out. For more tips on how to make your business cards more effective, check out these important mistakes to avoid when using business cards. As most of the marketing world moves towards digital, a lot of companies are dismissing the advantages of incorporating print marketing with their digital strategies. The cliche phrase most print companies use, “Print isn’t dead”, still holds a lot of truth. 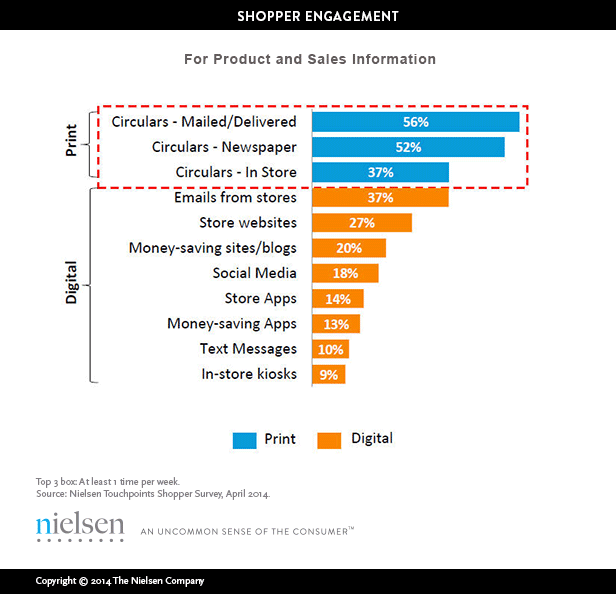 According to research done by Nielsen, more than half of all the shoppers in the U.S. still use print marketing at least once a week to seek product and sales information. Print marketing is still a powerful medium to communicate with your customers as long as it’s involved in your digital strategy. Here are a few ideas of how to include print in your digital strategy. Postcards are a great start for starting a multi-channel marketing campaign that benefits both print and digital marketing because of their simplicity. 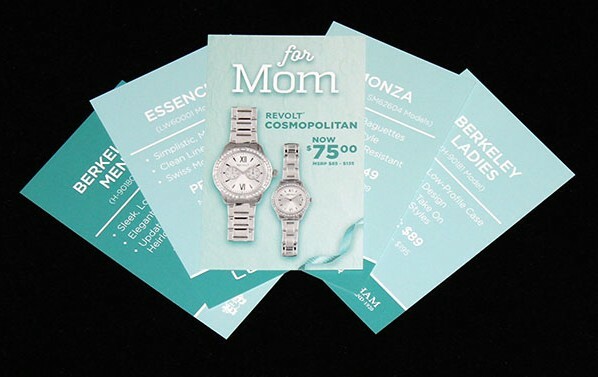 You can see success in this type of strategy by personalizing the postcard and implementing digital tracking methods. Personalizing anything, whether it’s a t-shirt, postcard, or promotion, adds more personal value to the customer. Adding value to your brand or products at a personal level will significantly increase the chances of conversion, or a purchase. A great example of a company utilizing this multi-channel marketing strategy is Bed, Bath, & Beyond. 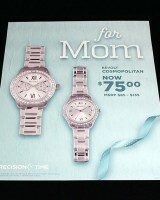 Have you ever received one of their catalogs in the mail? 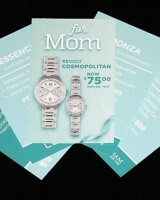 On the back of each catalog, it has your name and a personalized discount code. How many times have you not gone into the store to make a purchase with that discount? Probably very few. After a purchase is made, if you get online, you will most likely have an email from Bed, Bath, and Beyond and will start seeing their ads more frequently on websites or social media. 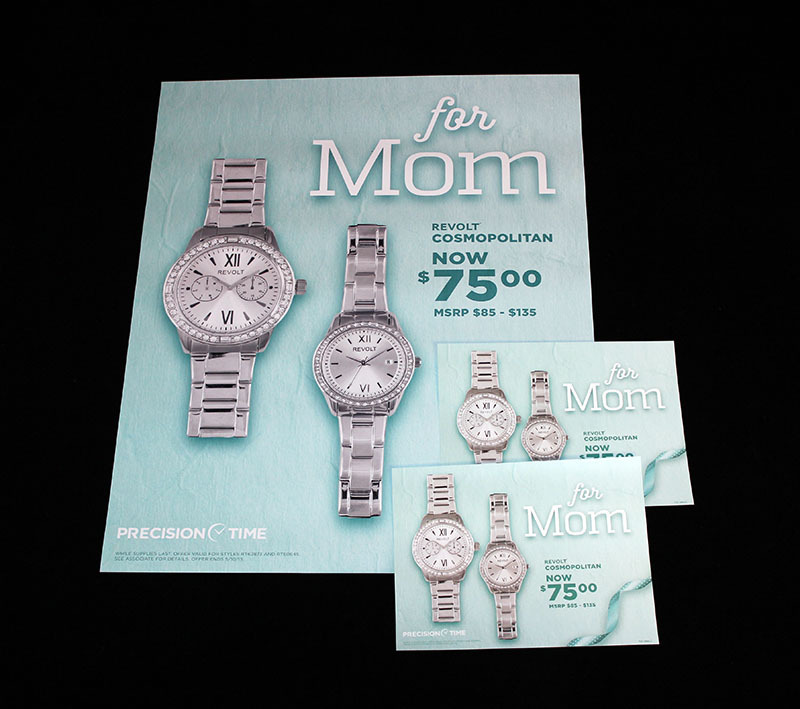 Direct mail is another effective way of utilizing print to increase its value in the modern world. Direct mail was one of the first marketing tactics used to reach a wider audience. Companies would send out catalogs and letters to inform the public of their company and available products. Direct mail is still useful, but you can’t use it how it was in the past. With the inclusion of digital marketing in the world, everything has become much more personal and direct. In order for direct mail to be relevant and beneficial to your company, it needs to be just as personal, if not more personal. than the digital world. With that being said, don’t dismiss any support or information that is available about your customer from digital. Utilizing the data from the digital side of marketing will give you a direction in where you need to go in order to make direct mail personal. 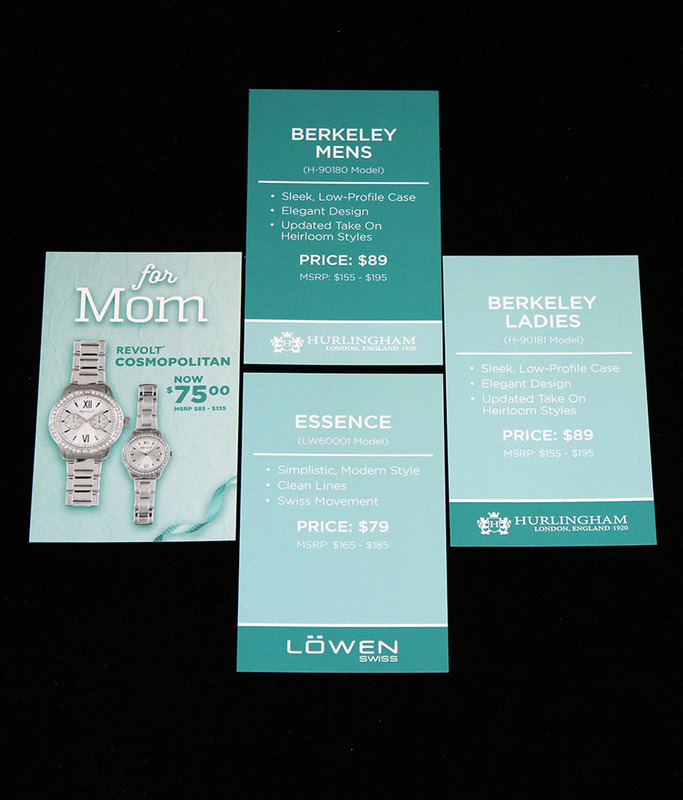 Direct mail is a great way to personalize a written or typed letter to a current customer or to a potential customer. In the world of business, creating and maintaining lasting relationships is very important. Giving tangible items, especially in the digitally-focused world we live in, is one of those ways to really stick out from the crowd because print marketing is rarely used anymore. You can tie this strategy into the digital world by following the same recommendations as mentioned above in the postcard section. Business cards have been a business standard for a very long time. They have long been the most convenient way to quickly give someone your personal or professional information. Now with the addition of websites and social media, businesses have more ways to access potential customers than ever before. By including website and social media URL’s or QR codes on the your business cards, you are giving potential customers even more resources to discover your business. Print marketing is still very relevant and can be a vary strong addition to any digital strategy already in place. As the world continues to move towards digital, you can set yourself apart from all of the competition by utilizing print in a more personal way than ever before. Divvy has offers for whatever marketing situation you find yourself in. Click here to see what we have to offer. Contact us to see how Divvy can make a difference for your company today! Businesses need multimedia marketing in order to survive in today’s fast-paced world. Consumers are not solely reading newspapers anymore. They are listening to the radio, watching television, driving by billboards, reading direct mail and surfing the web, too. This developmental change has made it harder for businesses to reach consumers on only one platform. This is why multimedia marketing is essential in today’s marketing and content strategy. Multimedia marketing is not as intimidating as it sounds. “Multi” means many and “media” stems from the word medium, creating the phrase that simply means “many medium(s) marketing”. That’s all it is! Multimedia marketing is sharing one consistent message on multiple channels. One message needs to be supported by multiple channels in order to reach more consumers. Through a combination of pictures, videos, graphics, social media and the more traditional methods, such as direct mail, press releases, and advertisements, businesses can reach more past, current, and potential customers. An increase in reach leads to an increase in brand awareness, and an increase in brand awareness leads to an increase in website traffic. Because a business is sending one message through multiple channels, it is reaching more people. Sending out a piece of direct mail, for example, will only reach those who receive the mail. If you combine that marketing strategy with an infographic shared through social media, you will reach the people who receive the mail and all those who see the graphic online through Facebook, Twitter, Pinterest, etc. The business that masters multimedia content strategy is the business that masters brand awareness. If you are doing it right, you know that each medium has a characterized user. For example, those who read newspapers are typically older, and those who are on Instagram are typically between the ages of 18 and 29. Knowing this, a business can tweak its message to appeal to the different consumers. When a business is able to share a consistent message on multiple platforms, it is able to increase brand awareness. What does an increase in reach and an increase in brand awareness lead to? An increase in website traffic, and thus an increase in leads and potential customers. Do you need help creating a cohesive multimedia marketing strategy? Fill out the contact form below or call us at 801-224-8666. 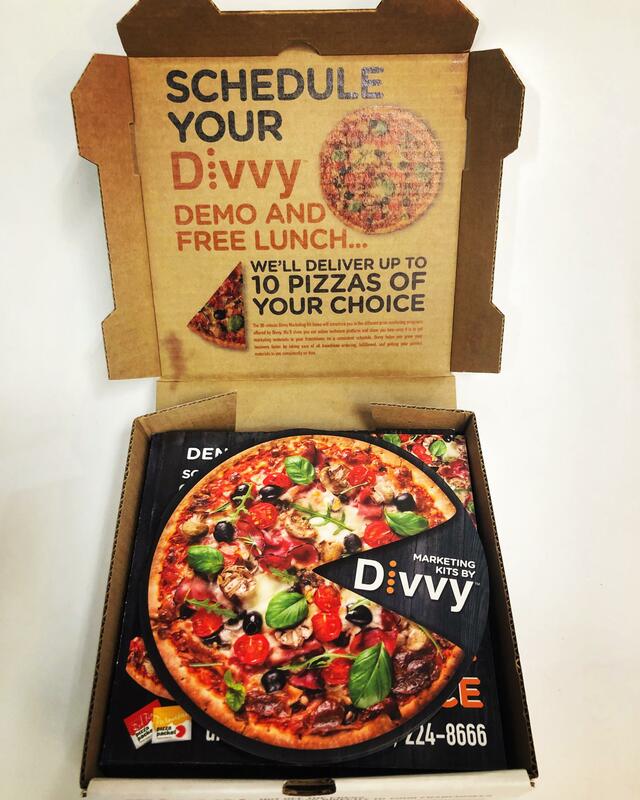 Divvy specializes in maximizing your business or franchise’s marketing efforts. Knowing how to write an effective press release is essential for your business! Press releases are a useful tool for getting free publicity and promotion of products. They are the vehicle for communicating a newsworthy message. This means whatever it is that your business is doing needs to be presented in a way that is eye catching and interesting to the reader. With these basics in mind and the following tips below, you should be able to write an effective press release for your business. The first step in writing a press release is knowing the correct format. Press releases are written in what’s called Inverted Pyramid Style, meaning the most important information is at the top of the release, and the information becomes less important with each paragraph thereafter. This is because of space limitations. In the print newspaper days, journalists would often omit parts of the releases due to low space, and cutting out the least important or least relevant information was the best way to do so. Writing in this style allows for journalists to simply cut off the last few paragraphs, leaving the newsworthy part of the message intact. This type of format is essential in press release writing, so make sure you’re release is following it correctly. Journalists won’t re-write a press release when they have a handful of correctly written press releases they can choose from. Also, like this format, your writing needs to be to-the-point and concise. Avoid fluff in press release writing. Reader’s won’t finish a release that’s full of fluff. All press releases start with what is called a lead, or the first paragraph, but before you write out the lead be sure to write the date and city in which the release is being originated. Once that is done you can write the lead, which answers the 5 W’s and H (who, what, where, when, why, and how). If you are an avid news reader, you’ll notice that most press releases answer the 5 W’s and H in just one sentence. Make sure that all of your sentences, including the lead, are less than 30 words. This helps with keeping sentences straightforward and helps with the reading score, or level of difficulty. Assume that your audience is a smart 6th grader, so avoid using business jargon or difficult sentence structures. Sounds Good and Reads Easily. Make your press release sound good by adding quotes in from your CEO or other influential employees related to the purpose of the press release. This means your CEO might say something like, “This is the best thing since sliced bread,” and you need to edit his quote to make it sound better and get approval from him before sending the release out. Also, keep a factual tone in your press release. Avoid emotionally-charged words and sentences. News is unbiased, and your release needs to be the same. Read the press release several times before sending it out to make sure it reads easily. Change any unfamiliar words, incorrect spelling, or grammar errors as you read it. A good rule of thumb is to read your press release out loud at least 3 times. You will notice things by reading it out loud that you may not have noticed reading in your head. One to Two Pages and No More. Press releases should be one page, maybe two, but no more. Lengthy releases are less likely to be published, and for that matter, read through completely! Once you are done with writing the copy, conclude with three pound signs (###) center justified after the last paragraph. The pound signs indicate the press release copy is complete. After concluding, enter once and underline the words,”For more Information:” and list your contact information, such as your name, company, address, phone number, and email on the space below. These are some of the basic principles of press release and news style writing. If your business needs help with it’s public relations strategies, you can call us or fill out the contact form below. Divvy specializes in maximizing marketing and public relations efforts! Google Alerts is a digital media monitoring tool that tracks when certain keywords are written about in the media. Set up Google Alerts for your business name and industry and you will receive email alerts when there are discussions, news or debates on those topics. Remember that good PR is more than gaining publicity, but it is joining a conversation. Google Alerts will help you join in and be the first to comment! Don’t underestimate the power of social media as a PR tool. 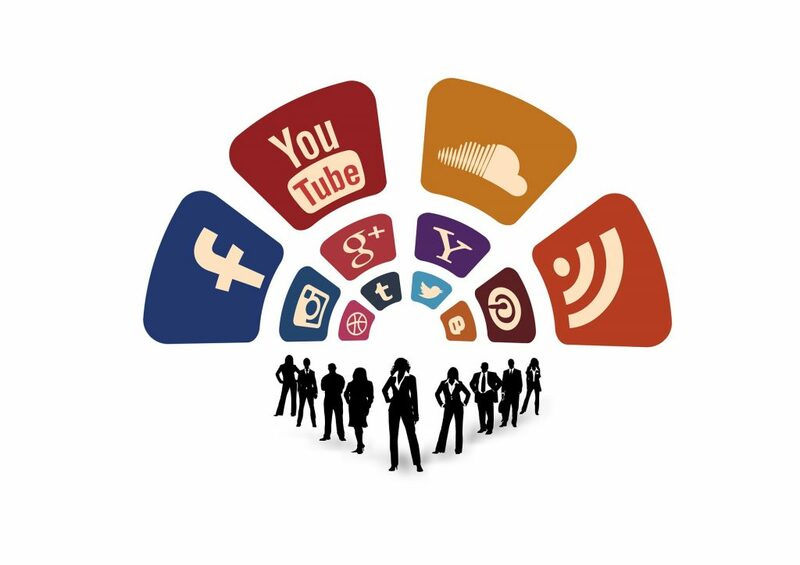 You can use social media channels to both activate, inform, or educate users on business and industry related trends. Use social media to become an opinion leader by sharing relevant news, product updates, and other relevant topics that will interest your customers. You can also use social media channels to connect with journalists who will help your business gain publicity. Twitter and LinkedIn can help you connect with the journalists that are interested in your industry. Create those connections and make a list of media contacts. As you send out pitches, keep track of those who are reporting on your company, your competitors and your industry. Reaching out to journalists and tracking media lists is pointless if you don’t have a plan in mind of where you want your business to go and what you want the public to see. Once you have crafted a well written press release and reached out to your list of media contacts, use PR Web or PR Newswire to further your reach. Both publish press releases across the web on websites, media outlets and journalists. Public relations is more than sending messages to the public. It is improving upon your business based on the conversation and interaction your business has with the public. Use Survey Monkey to gain insight into the public’s opinions, attitudes, and beliefs regarding your business. Use the online survey software to craft a questionnaire, send it to the public and then analyze the results in digital graphs. Public relations is easy if you are monitoring your business’s online presence, interacting with your customers, creating news about your business, and reaching out to journalists you have built a relationship with. These four tools can be used to strengthen your company’s PR. If you need more help with your company’s public relations, contact us by filling out the contact form below. We specialize in branded marketing collateral, marketing consulting, and social media. We would love to help! Precision Time is a watch retailer that opened up shop in 1982. From that small start with a single store, they’ve expanded to 60 locations across the United States. With that growth, it became paramount that they have the marketing assets necessary to ensure their brand messaging was consistent. Divvy provided them an easy-to-use solution. With Divvy, franchisees across the nation are able to log into the online portal and order the marketing assets they need for their kiosk or store. 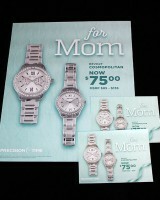 Recently, Precision Time made a large order of wall posters, business cards, fliers, and coupons. Divvy seamlessly fulfilled their order and shipped the assets to the respective locations. 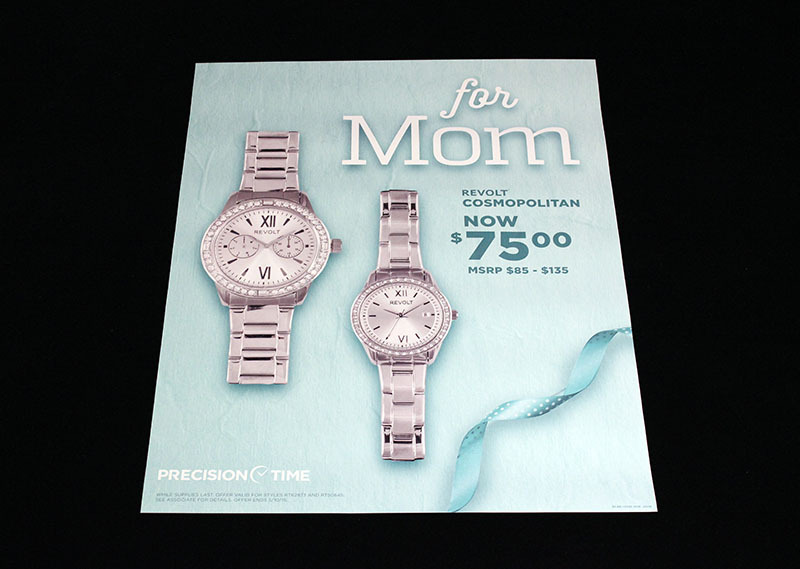 Precision Time doesn’t need to worry about opening up new locations without the necessary branded marketing collateral. All stores give a consistent message of to their customers anytime they visit Precision Time locations. 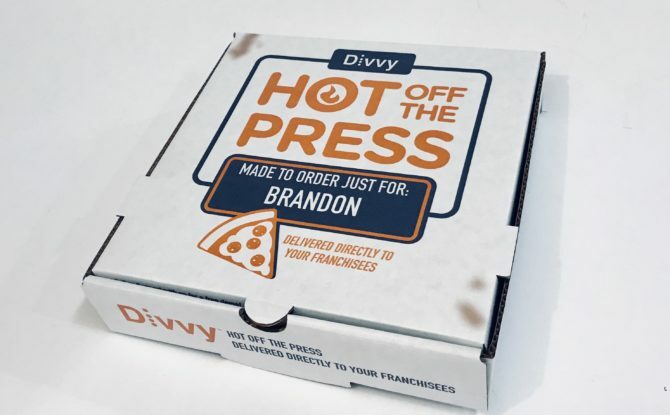 Fore more information about how Divvy can help your franchise with the printing and shipment of marketing assets visit Divvy Online. Or, talk to our Marketing Director, Charlie Alexander, and see if you can’t stump him with your franchise marketing need. Just e-mail charlie [at] divvyonline.com 801-224-8666.